Annual flowers add a vivid pop of color and a big impact in your beds and pots/planters. We plan for all seasons to keep things interesting from the heat of summer through winter. We have countless varieties of quality plant material grown locally at our farm that will perform beautifully in the Missouri/Kansas climate and growing conditions. Our crews will plant seasonal annual flowers for you, at just the right time when the plants are their fullest and the weather is right. We also have a “Plantainer” program with easy seasonal inserts that fit right in and out of your pots – designed by our nursery staff, these can be customized and are delivered and installed for each season – including winter! In March/Early April we plant cool weather loving pansies in pure colors. 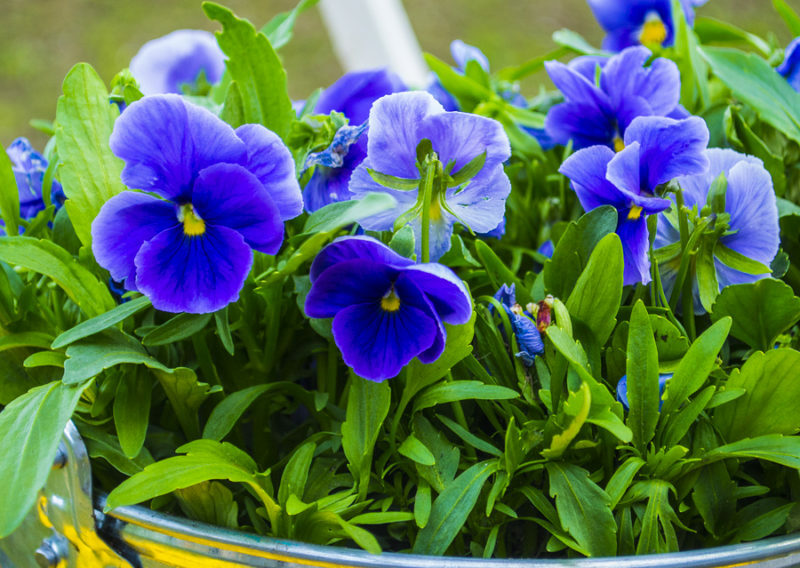 Pansies grow into a multitude of colors including periwinkle, cream, golden, and magenta. Starting early May when the weather is warmer Summer annual flowers are installed. The ideal time to plant is on a cloudy day or in the evening, giving annual flowers the overnight window to recover from the stress of their new home before the sun stresses the new annual flower seedlings. Our designers can make a plan for you that mixes just the right plant material with any area you have to be planted. 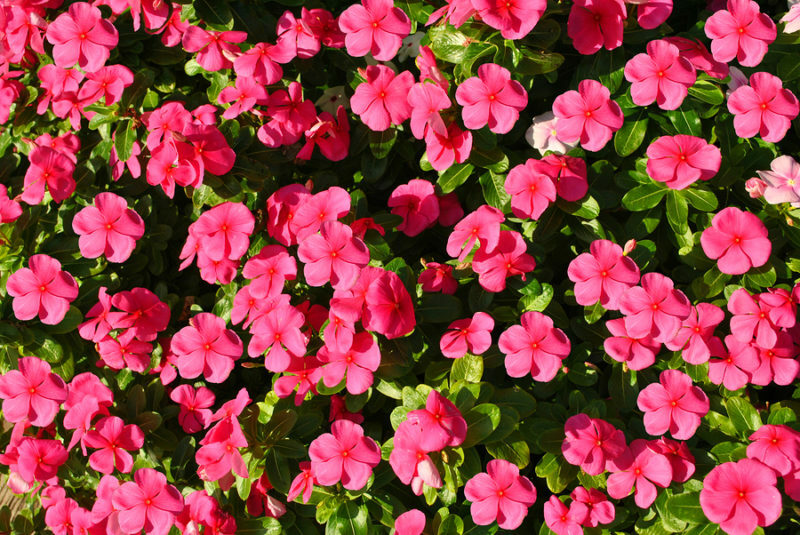 Typical summer annual flowers include Begonias, Impatiens, Lantana, Petunias, Elephant Ears/Palms, Geraniums, Coleus and many more. Your landscape will be ready to burst into spring with a revitalizing display of beautiful annual flowers. Fall annual installations begin in October when things cool down a bit and typical flowers include mums, ornamental kale and pansies. November is time to plant spring bulbs! Spring bulbs add a vivid pop of color after a long winter. Impress your neighbors with a display that can last from February to May. With countless varieties of tulips, daffodils, hyacinth and crocus, your landscape will be ready to burst into spring with a gorgeous show of eye-catching blooms.